GitHub is the best platform for version control, collaborative works and code sharing. Coding beginners can practice using GitHub by pushing their everyday coding exercise works to the repository. For beginners who want to quickly learn and start using GitHub may find difficult to reach out to the exact quick basic lessons, since there are lots of GitHub tutorials which are very detailed. So if you are looking to learn GitHub and GitBash terminal basics – Quick GitHub and GitBash Basics for Beginners tutorial will definitely gonna help you. You can use GitHub desktop client or GitBash terminal for interacting with your GitHub repositories. Replace Your Name with your username. Replace example@youremail.com with your email which you used to sign up on GitHub. 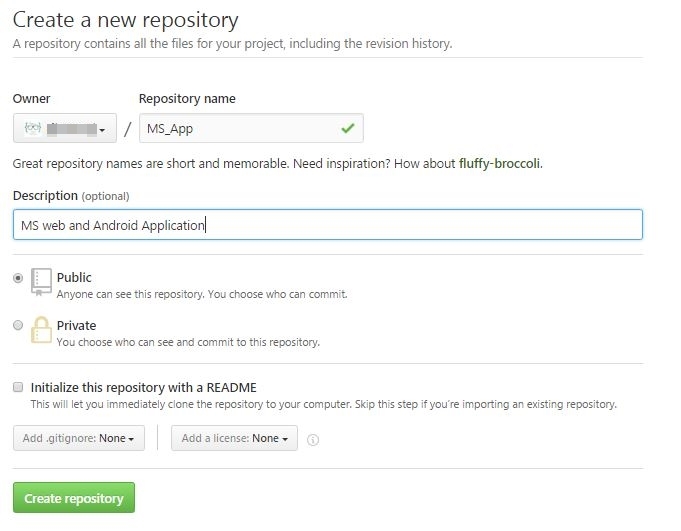 Firstly Log on to your GitHub account and Create a new repository with your project name and add a description. 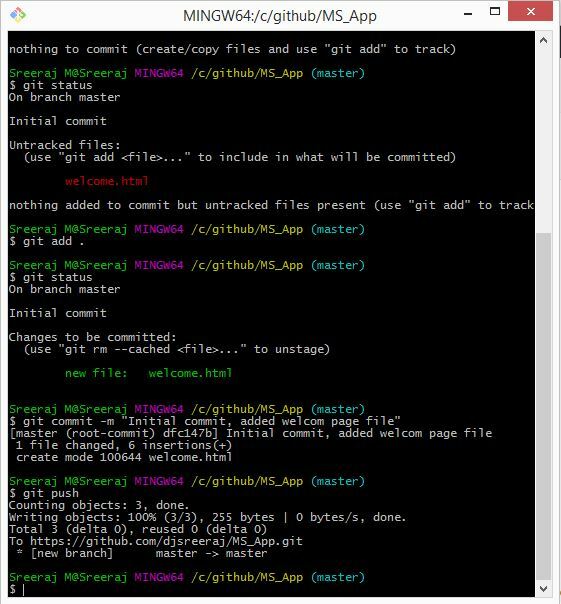 Now you will get the URL of the newly created project’s git file. Where username will be the GitHub username and MS_App is the project repository name in my case. Copy this and it will be used later. Now we have reached the folder through the Git Bash terminal. You have successfully cloned to an empty repository. 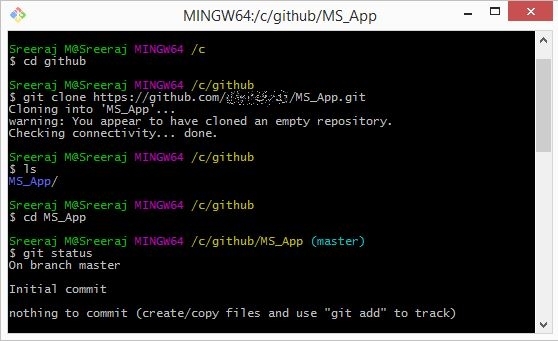 Replace MS_App with your project folder/repository name in the above command. Now we are successfully done with the initial step that is setting up the project folder in local disk. Next is to start working on the project, adding the project files, commit the changes and finally pushing to the GitHub cloud project repository. Open this folder using windows File Explorer, you can find the folder only contains one hidden folder named .git, there won’t be any other files other than this hidden folder. All the tracking details regarding the changes made to the project are stored in this .git folder. If the response is nothing to commit, means there new changes on the project. Next, add a project file to this folder. Now you can see, the newly created file in red color. Now your newly created project files are successfully added to tracking. Next is to commit the changes added to the project, for the use the commit command and a commit message as the log message for the current commit. For the first commit, you can add commit message as the initial commit . For later commit, you can use messages like, added a change to welcome file or fixed this bug etc. If may ask for your GitHub username and password for accessing your GitHub account and pushing the project files to it. 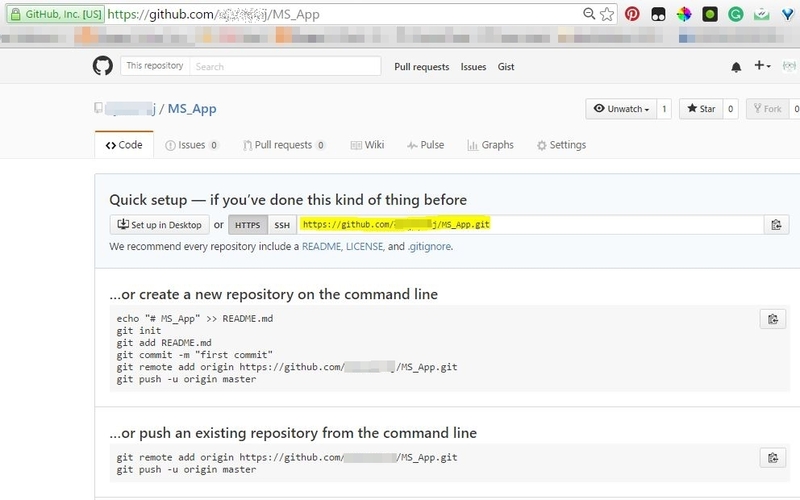 Replace https://github.com/username/MS_App.git with the URL you have copied earlier. This is the Quick GitHub and GitBash Basics for Beginners , I have covered few basic commands to be used on Git bash terminal for interacting with your GitHub cloud. GitHub can be used for doing collaborative works and version control. If you face any difficulties with these basics, kindly comment on this post. I believe this post could help you to successfully try out GitHub for the first time. If you want to learn deep on GitHub, you can find lots of detailed tutorials. 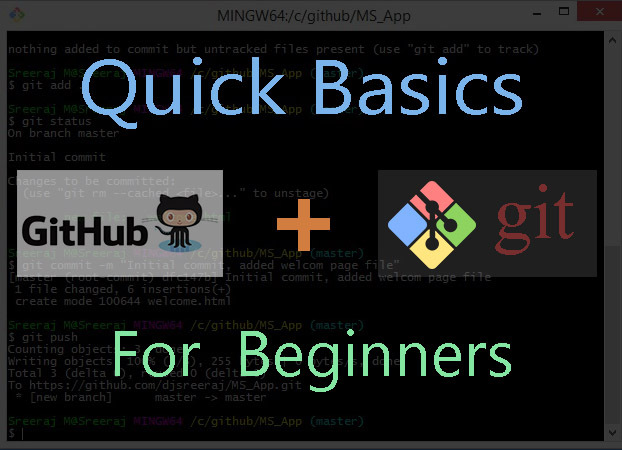 By the time I will be back with the next part of the Quick GitHub and GitBash Basics for Beginners tutorial. But i want to know how group projects are deal with git bash.